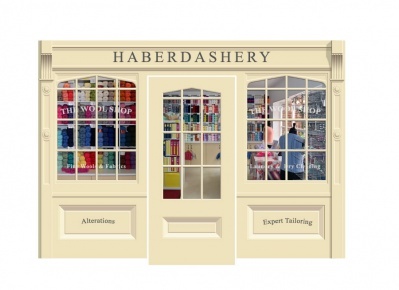 This 'Haberdashery' mural is ready to 'order and print' - or you may customise it. 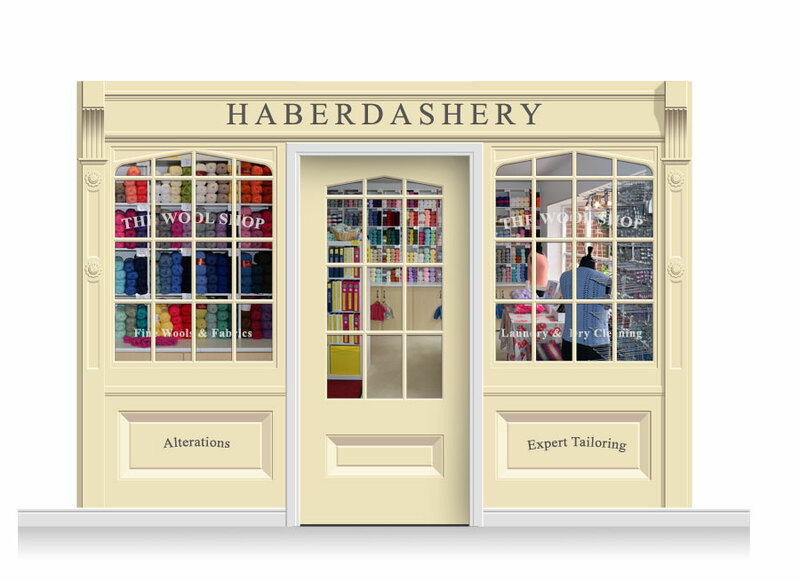 This Shop Front is modular in design. 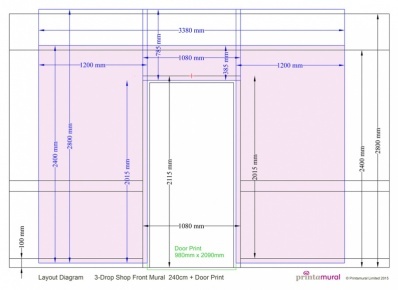 Please view the How To Customise Tab to see how you may personalise your mural with signage of your choice. This Shop Front comprises three drops of wallpaper (one above the door and one on both sides) and a Door Print. It is designed to fit around a standard size door frame, and at 240cm high, it is intended for walls under 280cm high. View the Details Tab for more information.